Real Madrid will not be signing Argentine striker Sergi Aguero any time soon at least that is according to the player himself who has been the subject of constant links to the Santiago Bernabau. 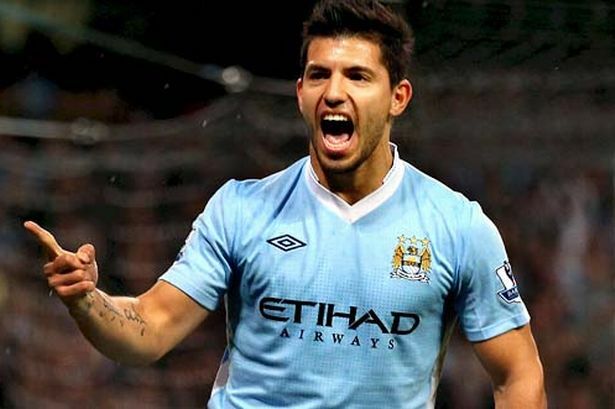 Several media outlets have linked the Manchester City striker with a summer move to Spain with Madrid the destination. But Aguero insists he can achieve his dream of winning another league title as well as the UEFA Champions League with his present side. Speaking to the Daily Mirror, Aguero said: "The only reason a player should leave a club is to achieve things, and I can achieve all I want to at City." He went on to add: “I can't stop rumours. I can't stop people writing things. But what I can do is repeat what I have already said, and that is that I'm very happy at Manchester City. "I have had success over the last four seasons there and I'm hungry for a lot more. Of course the Premier League is a big priority and we want to win it back, but it is a big dream to win the Champions League at City as well." The 27 year old striker joined City in 2011 and has scored 78 goals in 120 games most notably the last minute strike in 2012 that sealed Manchester City’s first league win for 34 years.